Vector Conversions & Logo Creation Services At Low Price ! Logo identifies a product or company through the description of a symbol, mark, or signature. It is important to keep in mind that your logo design will not function perfectly until it resembles the product or becomes recognizable to others. We are well-known for our diverse team of talented designers, to serve you with creative and memorable logo design at affordable price. The logo should be unique, memorable and simple to captures for a specific identity. The creative team at Luna logo blends inspiration, design skill and marketing expertise to create logo designs that perfectly reflect your brand. Our logo designs in vector formats can be printable at highest resolutions. We provide you the final result in the entire vector file formats for your convenience in .ai, .cdr, and .eps. Take a look at our logo designs to see what we've done for our other satisfied clients. Just tell us about your company, your products, services and markets, we will start the logo design or vector process instantly. Our designing process has been strategically developed to produce highly appealing business logos. Our group of artists has designed logos for a wide variety of organizations or corporate entities including modern logo designs, seasonal logo designs, and many more. Our creative team will develop unique logos to meet your business needs. 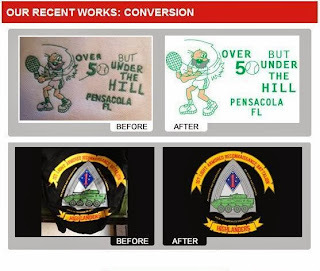 We will modify our designed logo with no additional cost until you are completely satisfied. Add life to your logo by using our high quality professional logo designing services.